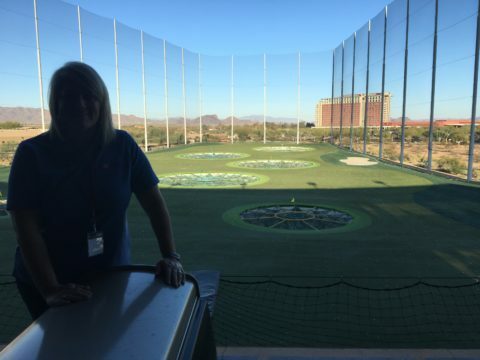 Last week, Clinic for Special Children’s Dr. Kevin Strauss (Medical Director) and Teresa Rineer (Development Director) traveled to Scottsdale, Arizona to participate in a special philanthropic event organized to help children living with rare disorders and raise awareness about CSC’s work with rare genetic disease. 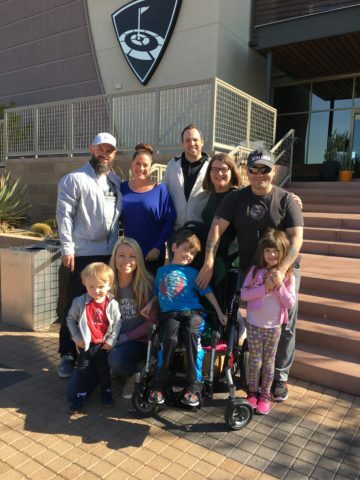 Retired White Sox pitcher Jesse Crain and his wife Becky partnered with the Newkirk family to host a “Swing FORE the Kids” Topgolf tournament through the Crain Family Foundation. The money that was raised from the event will be used to help subsidize the cost of travel to CSC for children living with rare genetic conditions, helping them access the specialized care they need. The Crain Family Foundation generously hosted this event in partnership with Kris and Maureen Newkirk, parents of a child cared for by our Clinic, Charlie Newkirk. 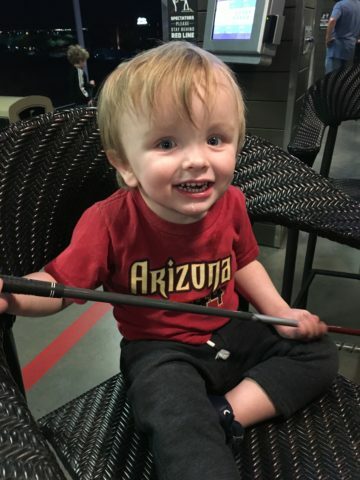 Seeking the best care for their son living with a rare genetic disease called Glutaric Acidemia Type 1, Kris and Maureen traveled from Arizona to the Clinic for Special Children. Visiting CSC was a “game-changer” for Kris. “Dr. Strauss met with us for three hours to examine Charlie and make adjustments to his treatment. 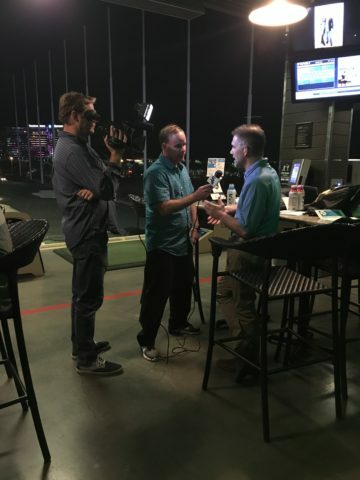 As the world’s foremost expert in GA1, he gave us a level of comfort that no other provider could possibly give to us,” Kris told the Crain Family Foundation. 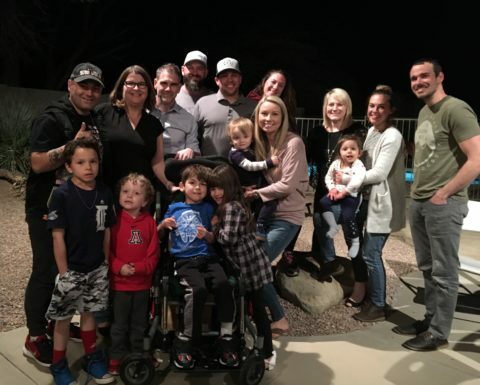 The whole Newkirk family (Kris, Maureen, Henry, Paul and Charlie) graciously hosted Dr. Strauss and Teresa for a family style dinner on Sunday night before the Topgolf event. 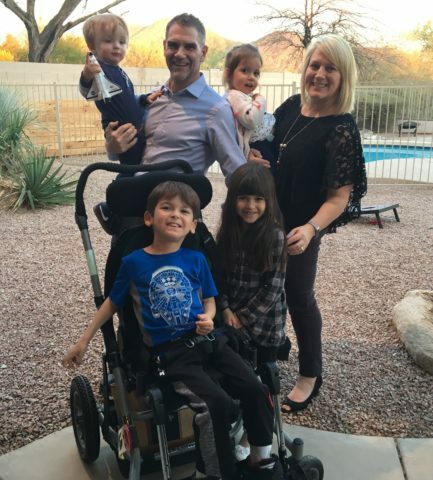 Kris and Maureen introduced Dr. Strauss and Teresa to several other families and children affected by a rare genetic disease, creating meaningful memories and lasting relationships. Read the rest of the Newkirk’s story here. 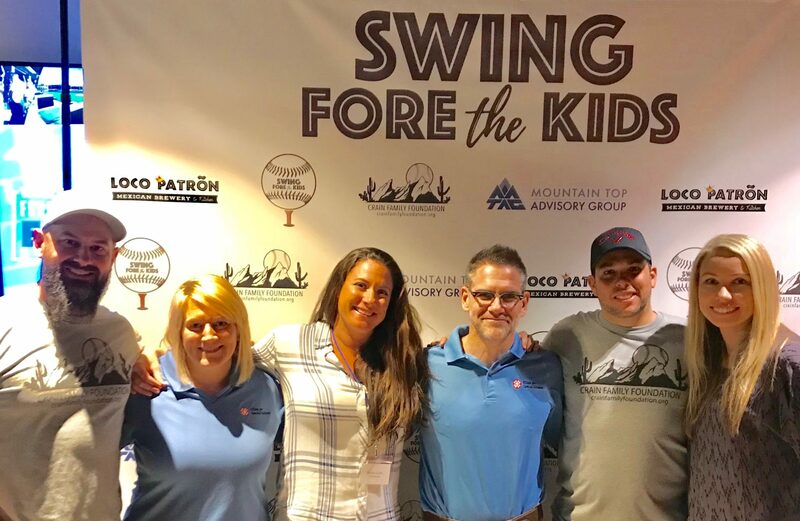 The Crain Family Foundation’s “Swing FORE the Kids” event on Monday evening, February 26th, drew a diverse crowd of at least 40 professional atheletes and coaches, community members, family and friends, and others who share a passion for raising awareness about rare disease. 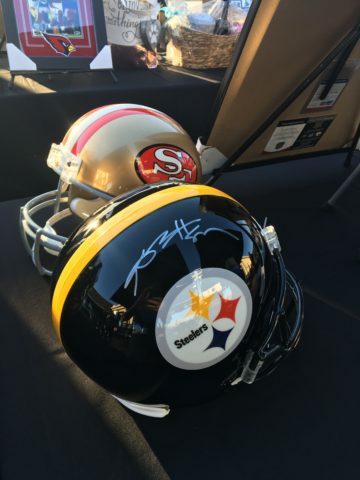 Attendees were offered the opportunity to play golf with celebrity athletes, bid on a variety of items through a silent auction, and enjoy great food, drink, and camaraderie in support of the Clinic’s cause. Celebrity appearances included, but are not limited to, Jon Lester, Trevor Plouffe, Drew Butera, Brian Duensing, Mark Teahen, Paul Konerko, TJ McFarland, Jonny Gomes, Evan Longoria, Mark Melancon, Brandon Webb, Mike Sweeney, Chris Snyder, George Brett, Ron Villone, Mike Madano, Brendan Perlini, Gordon Beckham, Nate Jones, Matt Albers, Alex Cobb, and Hector Santiago! See coverage of the event by “Good Morning, Arizona” here. On behalf of the whole team at Clinic for Special Children, we would like to extend a heartfelt THANK YOU to everyone who helped to make this day possible and for welcoming us. It is truly inspirational to witness the manifestation of CSC’s mission come alive through the altruism of others both at home and halfway across the country. We couldn’t do what we do without you. Thank you!